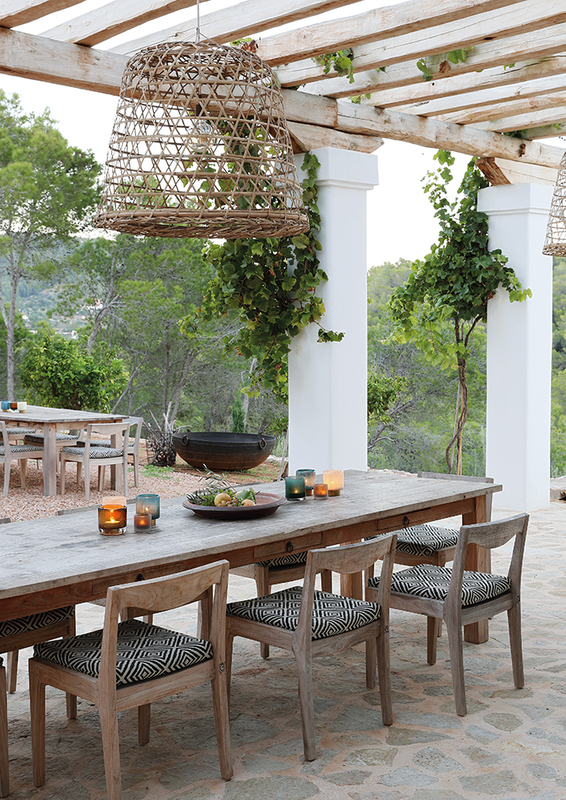 The summer home of a Dutch couple, set on a forested hillside on the Mediterranean island of Ibiza, epitomises easy-going luxury and laid-back style. 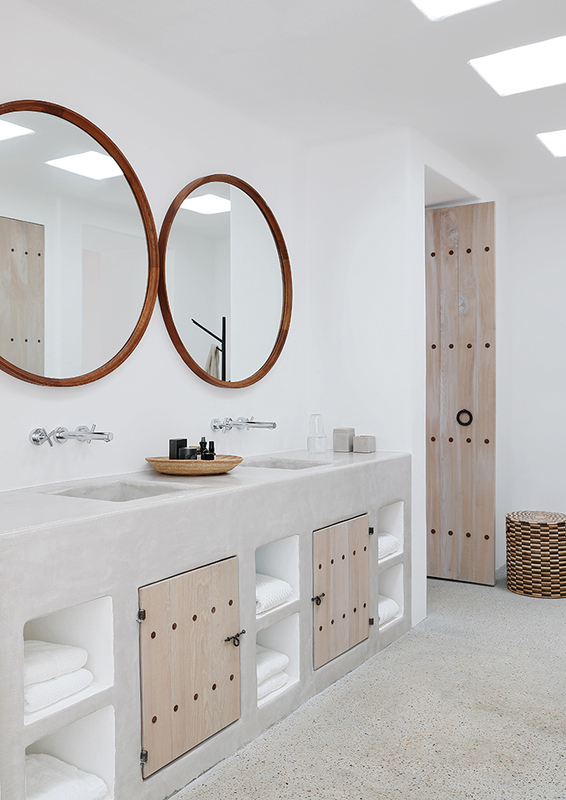 Although Emile’s and Eva’s summer house is in the middle of the island, it remains a short, 20-minute drive to the seaside, so they can make the most of the ocean and retreat to their private escape whenever they want. The house is situated on a forested hillside nestled among the trees. “The house fits nicely in the landscape because it is based on the vernacular architecture,” explains architect Rolf Blakstad. He adds that its unobtrusiveness is enhanced by the fact that “it’s a long house designed in order to sit on the land in an appropriate way”. Further, he has designed the courtyards and terraces around the house to blur the distinction between interior and exterior, so that they function as outside rooms – a natural, habitable extension of the house. 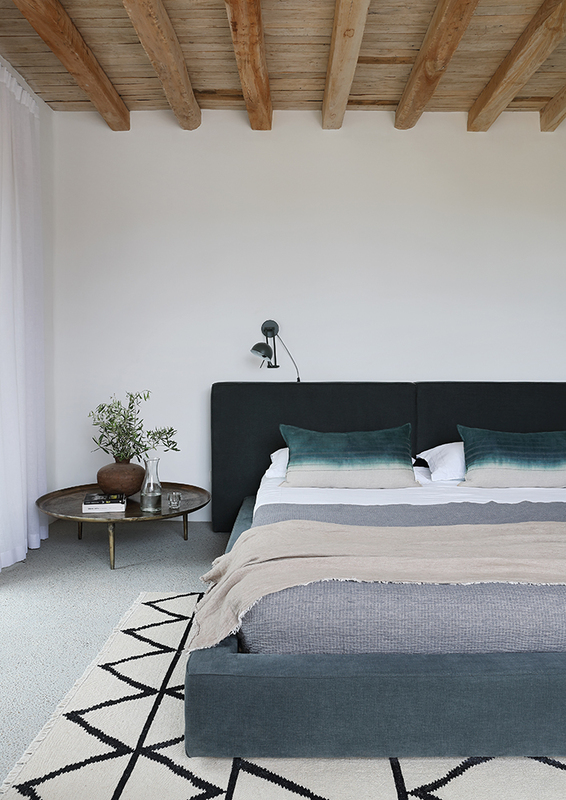 The light, neutral palette and simple, rustic textures of the main bedroom are offset by a single velvet chair – a luxurious gesture that provides a counterpoint to the rustic restraint of the rest of the room. 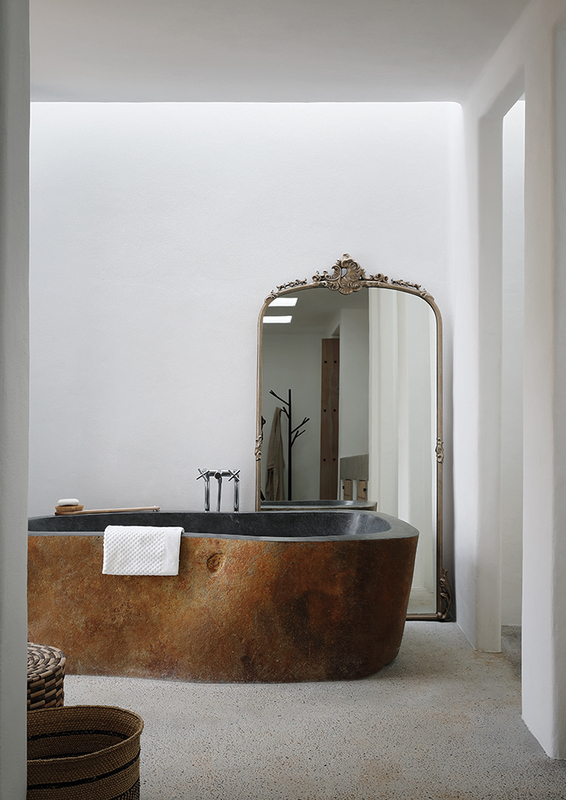 “The living room is based on a Megaron,” says Rolf: an architecture form from Ancient Greece. It is a large square room with a central skylight so that “you look up and see the sky, so the interior is open to the exterior in the vertical aspect, not only though the windows”. The living room can be also opened on three sides so that it is cool and light in summer. In winter it is warmed by a suspended Gyrofocus fireplace. The neutral palette of beige and grey tones is enlivened with pops of mustard in the ottomans and the cushions. Further dynamism is introduced in the antique hexagonal coffee tables and features chairs looking out over the gardens. Emile Kuenen and Eva Piers relaxing in their summer house in Ibiza. A comfortable nook has been added just outside the kitchen to help integrate it with the rest of the house. 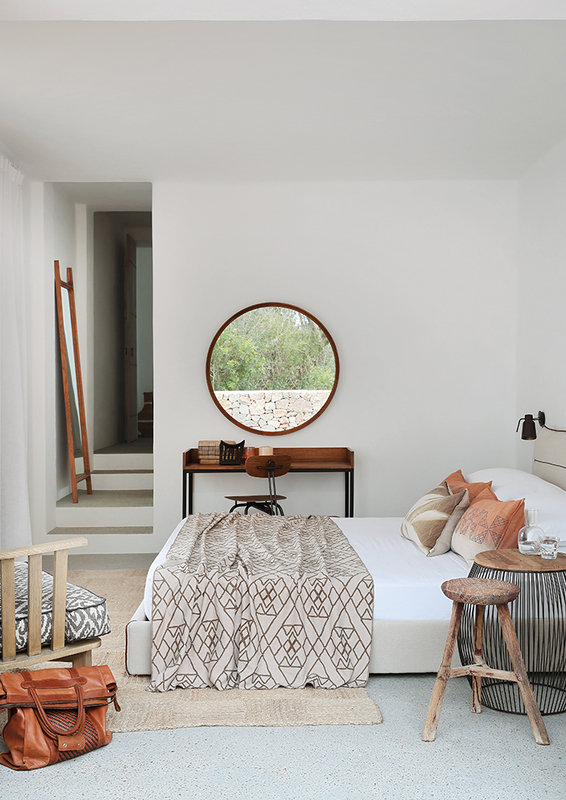 The guest bedrooms are decorated with natural simplicity, the neutral palette enlivened with rich natural hues – drawn from the surrounding landscape. Graphic elements have been introduced with patterned floor mats and throws, layered onto the neutral base. “Graphic patterns break the monotone colours,” says Sumari. 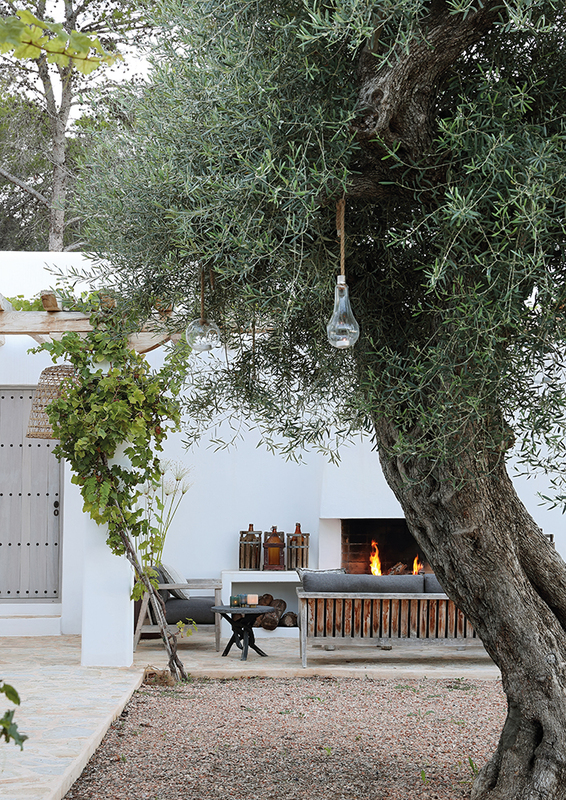 A 350-year-old olive tree provides the focal point of one of the courtyards. A 350-year-old olive tree provides the focal point of one of the courtyards, while a terrace with a pergola is being scaled by new vines to create a cool, shaded nook among the many al fresco dining areas. A built-in fireplace makes it hospitable at all times of year. 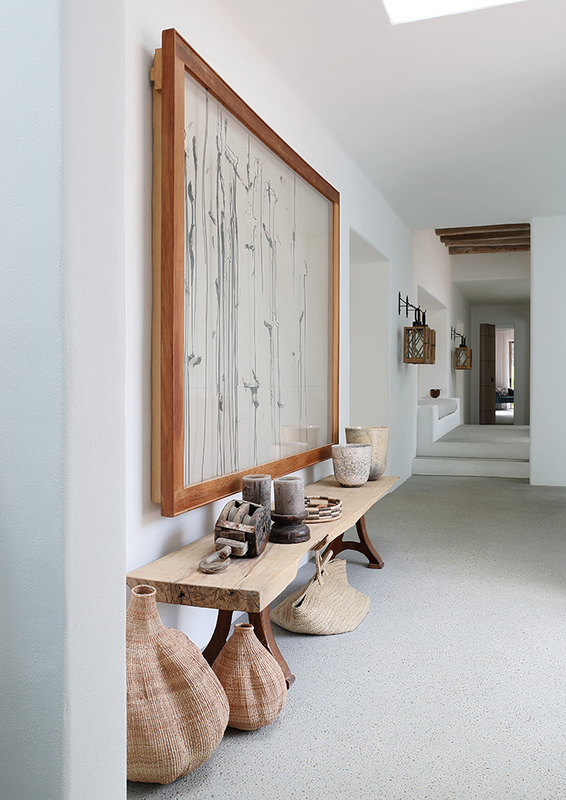 Sumari has used teak furniture both inside and out to enhance the sense of continuity. “It weathers and ages so beautifully, whether you use it inside or outside,” she says. The theme of natural weathering and sense of agelessness is further enhanced by naturally weathered coffee tables, vintage packing crates and barrels.